You are here: Home / Kindergarten Teaching Ideas / 20+ Spring Activities for Kids-Enjoy the weather! Spring has sprung! Chilly winter is starting to melt away and children are ready to spend more time outdoors. Have you planned some spring activities for kids to welcome the brighter season? Kids need and love to play outdoors! Today I would like to share some spring activities for kids that will surely make them more excited. 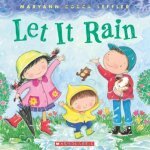 Before we begin, I found a few fun spring books to read before you have fun with them! Outdoor Activities: Spa Pretend Play from Fun Littles is a fun activity for spring days. Mudpies and mud soup are great to make children happy. Learn How to Make a Simple Kaleidoscope for Kids from Little Bins for Little Hands is a great STEM activity to encourage sense of sight. Make sun-catchers to catch the sun! 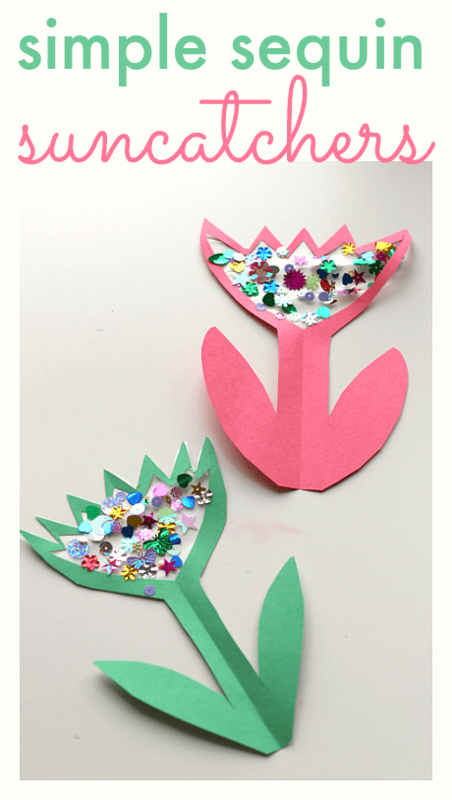 Tulip Suncatchers from No Time for Flashcards are simple and cute for children. Make a Rain Gauge from Nuture Store is another outdoor science activity to make spring more exciting and enjoyable for kids in a better weather. Make a kite!. DIY Newspaper Kite from Living Well Spending Less is a fun activity (and experiment!) Get children make this craft and check if they can fly the kite. Spring is not only about the sunshine. There are many chances that rain will come. 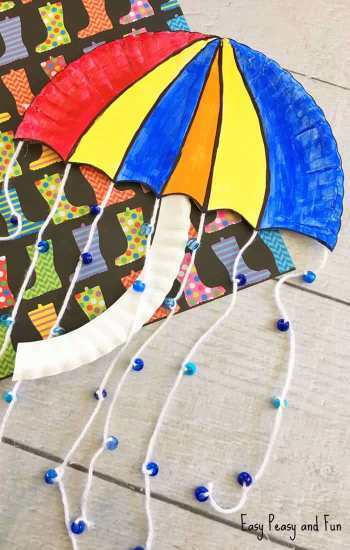 Umbrella Paper Plate Craft from Easy Peasy and Fun looks bright and cute to make in the rainy day. Spring’s unstable weather also provides for a few fun experiments like Make a Tornado in a Bottle from Little Bins for Little Hands. Hula Hoop Games for Kids from Playground Parkbench are great ideas when playing outdoors. 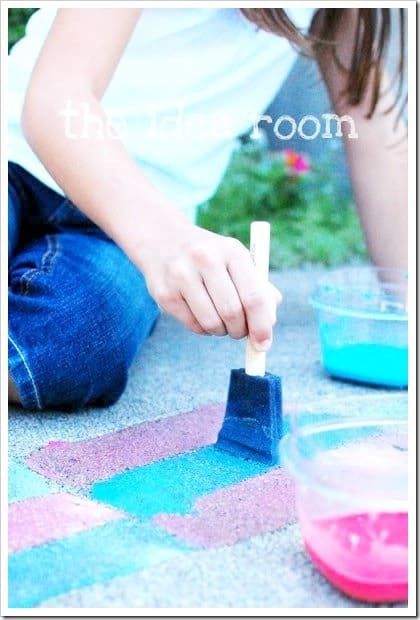 Sidewalk Chalk Paint from The Idea Room will keep children busy to prepare brighter summer days. I can’t wait to try it with my kids! Ready your garden! Egg Carton Seed Starter for Kids from Rain or Shine Mamma is a simple and fun gardening activity for kids. Using an egg carton, you can make a jungle at home. 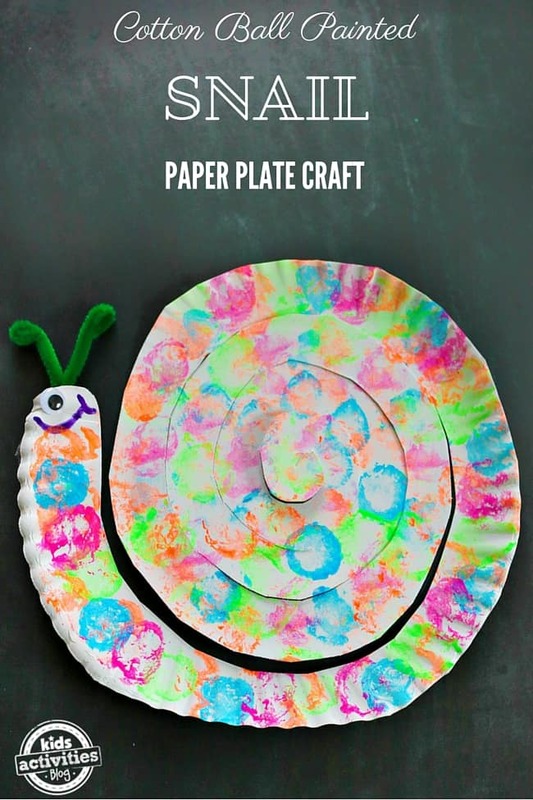 Cotton Ball Painted Snail Paper Plate Craft from Kids Activities Blog looks adorable with colorful display that suit the spring decoration. Grow some frogs… Raising Tadpoles from Rainy Day Mum will certainly teach children to love the nature more. 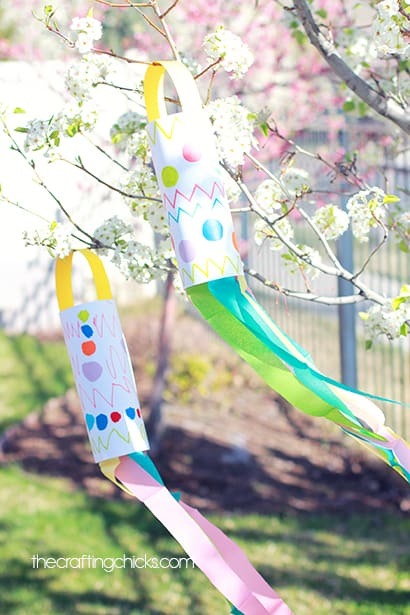 Spring Windsock Kid Craft from Crafting Chicks is fun and simple to make. This Egg Carton Flowers from Leah Inspired will be adorable for display in our house. Are you looking for some fun nature walk activities? Collecting some bugs will keep the little people busy. 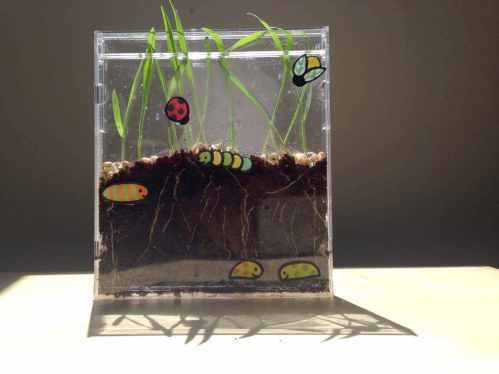 Why don’t you Make Bug Houses from Play and Learn Every Day? 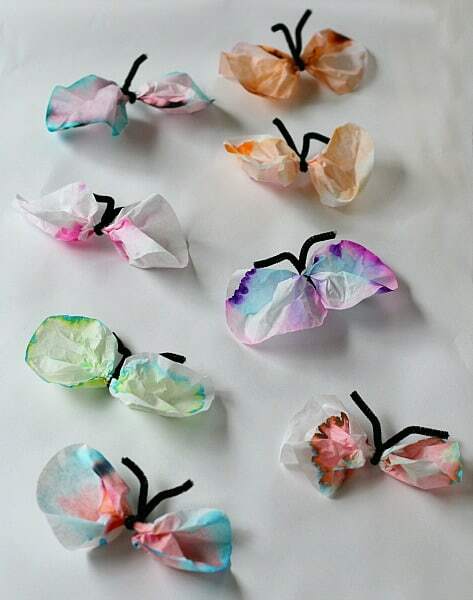 Chromatography Butterfly Craft from Buggy and Buddy is a cute craft for an indoor day. CD Garden from Kiwi Co. Corner are both for exploring nature this spring. Do you have favorite spring activities for kids?